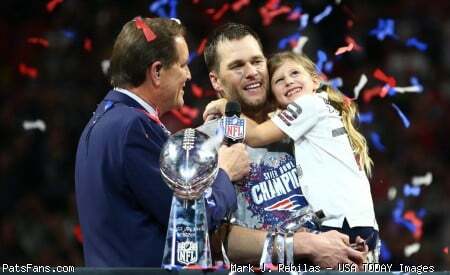 Discussion in 'PatsFans.com - Patriots Fan Forum' started by Doctor DDS, Apr 13, 2019 at 2:11 PM. Which Patriots decade was more dominant? If the 2004 team played any Patiots team, the 2004 team would win. 2014 smokes the 04 team by double-digits. Lock down Givens and Branch, and have Corey Dillon run against 9-man boxes. Good luck. Who on the 04 defense is going to cover Rob Gronkowski, never mind Julian Edelman? 10s was better. 8 straight afcc appearances is unworldly. As far as best team, Ill still take 04 over any. Its not how you start its how you finish. We went to different schools. Our counting of time starting in year 1. Each decade starts in year 1.
so, for me, I start decade with January 1, 2oo1 and end on Janaury, 31, 2001. In any case, for me 2004 and 2007 were two of the best teams of any in NFL history. Had the 2007 won the Super Bowl, they would have been considered the best ever, although the 1985 Bears would still be considered the best by many. So, for me, I choose the 00's. The 2003 NE defense was BBs best ever. They were ranked 1 in so many categories. Give me Ted Washington and try to run the and Rodney Harrison was the best NE Safety to this day. Back to back super bowls. Few things not talked about enough when it comes to 07. That team beat everyone's SB pick that year. It might be funny now but go back & look at who people were picking to go/win the SB. SD, Cinci, Dallas, Phila, Balt, Colts, Pitt. Not only did we beat teams physically on the field but we beat them mentally too. I think 10-11 lost the following week as well. I'll take "Why everybody else hates Pats fans" for $100, Alex. Chris, you never cease to make me laugh with your signature, especially at the end of a short and witty comment. I know you've said in the past it's just something you've always done, but thought you should know I chuckle every time i see it. But doesn’t the last game mean more than all the others combined? I have always looked at it as a team is worth what it accomplishes. The rules of the game are there is one goal, a championship. I could never rank a champion behind a non champion. I rank the best patriots teams as a 6 way tie. Yeah I get why people are nostalgic for the early teams but they’d have no real shot to win against any of the 2014-2018 teams. Unless — like I said before — we are playing with the 2003/04 rules. There is no way to prove this. Another person included 2000 which is BBs starting point. SD and Indy were the only true threats in the AFC, but the consensus was NE was the heavy favorite. Anyone picking Cincy, Baltimore or Pittsburgh were idiots just trolling. Dallas was the true favorite in the NFC. I don’t know where you got Philly from as they never had a shot. It’s pretty clear that the 2010s are more dominant in terms of how many times they’ve been to the Super Bowl and have been to every AFC title game since 2011. That is just insane. But my favorite decade watching was the 2000s because of the rise of Brady, Belichick, 2007 season and better competition. I should’ve known better picking against the Pats going back to AFC championship game last year so I will not make that mistake again and assume they will return this year due to the lack of competition. SD and Indy were the only true threats in the AFC, but the consensus was NE was the heavy favorite. Anyone picking Cincy, Baltimore or Pittsburgh we’re idiots just trolling. Cinco went 11-5 & 8-8 the 2 prior years I believe & was pretty stacked. Phila went to the SB 2 years be fore that 10-11 games the year before. Going into the year all those teams were picked or liked by a lot of "experts" & people. I want to actually take this conversation away form the numbers, wins, division titles and super bowls a little. I want to talk a little about the story of both decades. Which is better? 2000s - A team that has been on of the jokes of the NFL for 40 years watches their franchise QB get injured. Only to have some late round pick come out of no where and turn the season and franchise around. Along with a very likable cast of personalities on the defensive side of the ball. They pull off one of the biggest upsets in super bowl history. This would have been a great story by itself. Then the underdog becomes the favorite and becomes the first dynasty of the salary cap era. From underdog to top dog. Legacies are cemented in football history. It is a simply but universal and powerful story. 2010s - This story actually starts back in 2006 and 2007 You need those years for a preface of sorts. The dynasty happened and everyone assumed more championships would follow. The perfect seasons slips through their hands. Back to back super bowl loses along with injuries and crazy plays keep the elusive title out of reach. We end 2014 in a very different place. Brady's successor has been drafted and the clock is now ticking louder than ever. The first quarter of 2014 happens and for the first time people start to have questions of it the window is closed. Then comes that crazy run including the AFCCG. Deflate gate brings up ghost of past complaints. Will the haters and deniers be able to hold on to their doubts and back talk? The Pats are 10 points down in the 4th against a team that crushed Denver a year ago. The legacy of Brady and the organization feels to be slipping away Then the come back happens. Only to have the rugged pulled out from under them AGAIN. Then finally the big play to break through. Next comes the greatest comeback (or implosion) in championship history arguably. Down 28-3 they come back and win in OT. Then last year allowed a running up of the score. Not really needed for this particularly run but the cherry on top. If you were to break it down simply as far as what the story archtypes would be of each decade they would be this. 2000s - The birth of the hero from the lowest point to the pinnacle. 2010s - The rise of a fallen hero after trials and tribulations. Personally I've always loved a great comeback story. Just think, that in the Browns forum, they would be debating in which decade Cleveland sucked the most and of all the horrible Browns teams, which was the worst.